If you have heard anything about probiotics, you probably know how important these live bacteria are for gut health. But it turns out that these microbes affect more than just digestion. Probiotics can influence our immune system, our metabolism, and even how we think and feel! 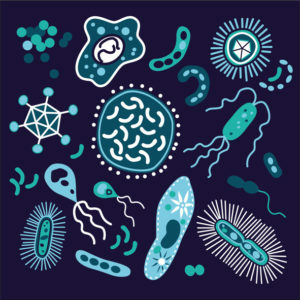 Probiotics are beneficial microorganisms that are the same as or similar to the bacteria we already have in our bodies. We consume them through fermented foods or supplements because they promote a healthy balance of gut bacteria (symbiosis). Studies have shown that an imbalance of bacteria in our digestive system (dysbiosis) is associated with disease. However, the consumption of probiotics can correct dysbiosis and has been linked to a wide range of health benefits. Amazingly, approximately 70-80% of your immune tissue is located within the digestive system. So your gut immune system needs to be healthy in order to avoid illness because it is the first line of defense against pathogens (bacteria and viruses). The way it works is that the gut mucosa connects with the largest population of immune cells in the body. These are also known as gastrointestinal immune cells and they come from the lymphoid branch of the immune system. Their aim is to secrete lymphocyte cells which attack harmful invaders. Particular strains of friendly gut flora that reside within your intestines are also critical for overall immunity. These bacteria act as mighty warriors for the immune system, and are dependable allies for immune cells, helping them to enhance their “natural killer” effectiveness and boosting their overall defense of the intestinal walls to prevent pathogens and infections from being absorbed. This is one critical reason why maintaining a healthy balance of good bacteria in the gut is so important. Without them, your immune system cannot do its job effectively, and in essence it is defenseless. Another benefit that has received a great deal of attention lately is the ability of certain strains of bacteria to help with weight loss, especially in people with obese tendencies. In one study obese people consumed a probiotic milk product containing a lactobacillus strain for twelve weeks and reduced their abdominal fat by 4.6 percent. One possible explanation for these results is that obese people often have bacterial imbalances in their gut. They have too little good bacteria and an abundance of the unwanted strains. This gut imbalance may be the reason why some people don’t have to eat much to gain weight, while others seem to be able to eat as much as they want and not gain any weight at all. Another study found that babies having more bifidobacteria and less staphylococcus aureus were less likely to gain weight than babies having less bifido in their gut. The bifidobacteria are abundant in the mother’s breast milk, and research reveals that breastfed children have a lower risk of obesity than children who are not breastfed. Studies show that psychobiotics, probiotics that improve your mental health, have been found to curb inflammation and cortisol levels, reduce symptoms of depression and anxiety, lower stress reactivity, improve memory, and even lessen neuroticism and social anxiety. The microbiome and psychobiotics are at the cutting-edge of mental health research and may be the next generation of treatment for mental health disorders. Over ten million American women suffer from inflammatory bowel disease (IBS). While the medical community does not know exactly what causes IBS, research reveals that certain strains of bacteria are effective at treating it. In two trials involving more than 400 patients, a daily dose of the bifidobacterium infantis significantly relieved gut pain and discomfort. And in study of 60 patients, a daily shot of l. plantarum reduced gas by more than 50 percent. And finally, probiotics have been proven to play an important role in skin health, such as promoting the healing of scars and burns, rejuvenating the skin and strengthening the skin’s innate immunity. And for acne sufferers who have unhealthy guts, supplementing with probiotics, particularly lactobacillus acidophilus and the yeast saccharomyces cerevisiae, will often improve their acne and their guts. Even eczema and psoriasis have been proven to be benefited by probiotics. 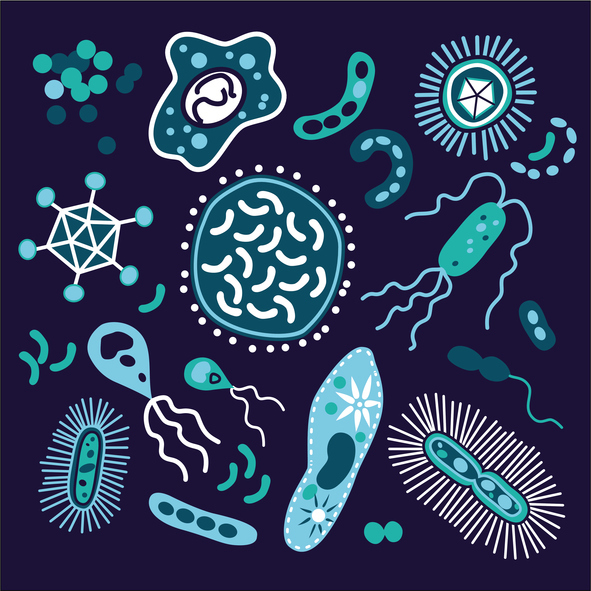 Considering there are about 100 trillion microorganisms living on and in your body, it makes perfect sense that probiotics would help the ones living on the surface, as your body is a living ecosystem.